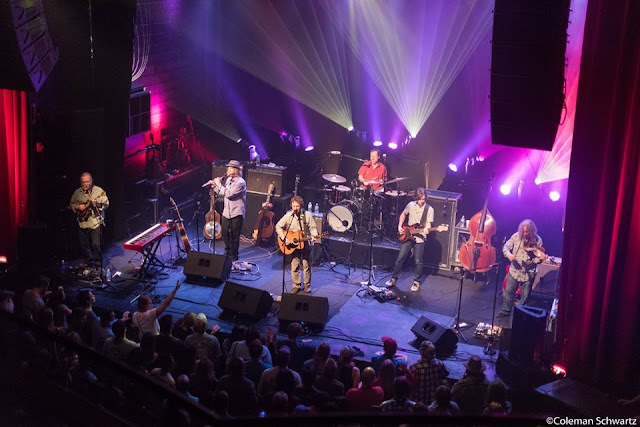 Railroad Earth rained down on Athens and ended the Georgia Theatre’s jamgrass drought. GATH provides the best artist hospitality and sound system in the entire southeast, and Athens is a rowdy college town - high energy is always present. The nearly sold out room was buzzing with a thirst for Railroad Earth’s soul-cleansing fusion of folk and rocking improv. Rail riders raged the front and grooving jitterbugs jived with plenty of room to turn and stomp. RRE opened the night with a Skehan instrumental “420.” A massive “Head” full of banjo noodling and high note string harmonies and kicked the evening off to a groovy start. Overall, the first set was very mellow and vocal oriented. Todd Sheaffer’s song writing draws upon the natural beauty of the earth mixed with a deep contemplation of the future. The country celtic chorus of “When the Sun gets in Your Blood” sent frisson down my spine. “Crossing the Gap” features prime string dueling with Carbone on violin and Skehan on mandolin. A massive “Mourning Flies” allowed each player to open and feel out lamenting solos. “Walk Beside Me” a Tim O’Brien cover, brought out Altman’s electric bass and picked up the tempo to close the first set. 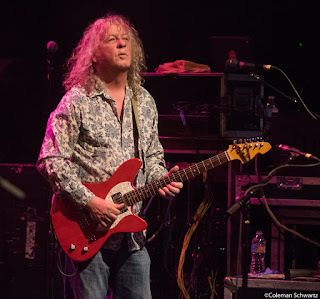 From my perspective, RRE played what they felt was right. The boisterous Athens crowd did not necessarily reflect the slower tempo tunes. However, when the sextet starts trading licks, all manners are out the window. An uplifting “Chasin’ a Rainbow” and raging “Colorado” brought the tempo and energy levels way up. The room swayed like a wave to acoustic sing-a-long “Been Down this Road.” The fearless aficionados made a few instrument changes and climbed the second set jam mountain. “Saddle of the Sun” into “The Hunting Song” began the journey into the land of melodic improvisation. “Grandfather Mountain” and “Black Bear” transported everyone to the crisp Blue Ridge Mountain air. For “Grandfather Mountain,” Skehan brought out the piano and traded classical solos with Goessling’s resonating lap steel guitar. “Like a Buddha” released the mega segue pattern and the audience sang at the top of their lungs. Sheaffer smiled down on the elfin crowd and people flipped out into frenzy over Goessling’s fluttering flute. An instrumental, “Spring-Heeled Jack” closed the set with pure psychedelic finesse. Eyes crossed and heads spun as Carbone’s wicked fast fiddling blew the top of the theatre. The entire second set contained seamless transitions of folk strumming into river stomp picking and pure psychedelic bliss. 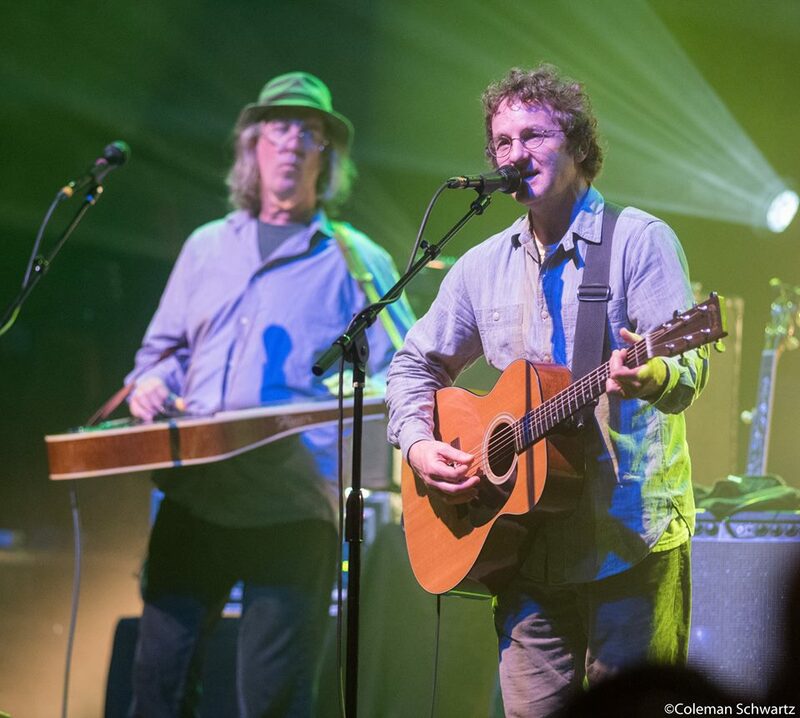 Railroad Earth leaves the room feeling full of light and energy. The stupefying fast picking of Carbon, Skehan, Goessling and Scheaffer is pure gold. Altman maintains a steady groove and Harmon is the happiest drummer I’ve ever seen. I am looking forward to delving into their catalog. I always love when bands keep their fans up to date with news. 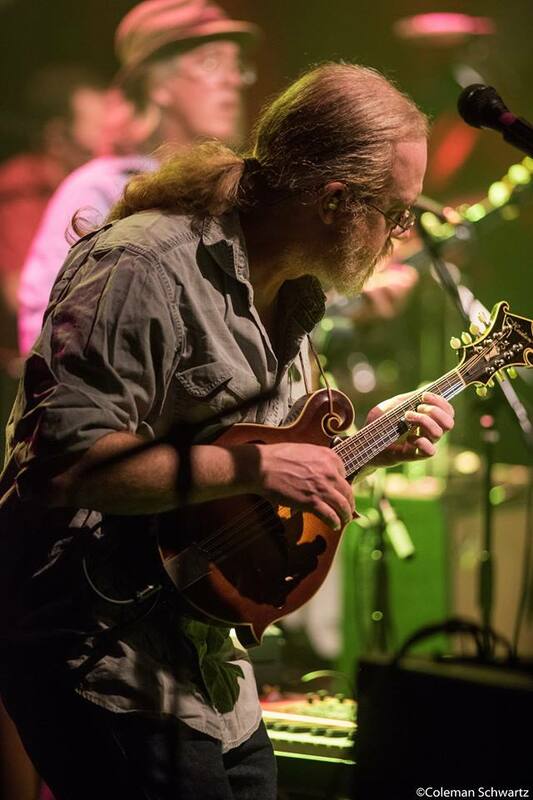 You can join the Facebook group “Railroad Earth Hobos” for live streams and setlists!